Former Bosnian Serb leader Radovan Karadzic has ended a boycott of his genocide trial, declaring that the conflict which left 100,000 dead was ‘just and holy’. Addressing the International Criminal Tribunal for the former Yugoslavia, the 64-year-old said he would use his trial ‘to defend the greatness’ of the Serb nation and defended its role in the 1992-95 Bosnian war. ‘I will defend that nation of ours and their cause that is just and holy,’ said a confident and measured Karadzic as he made his opening statement from the dock in the courtroom in The Hague. ‘We have a good case. We have good evidence and proof,’ he added. 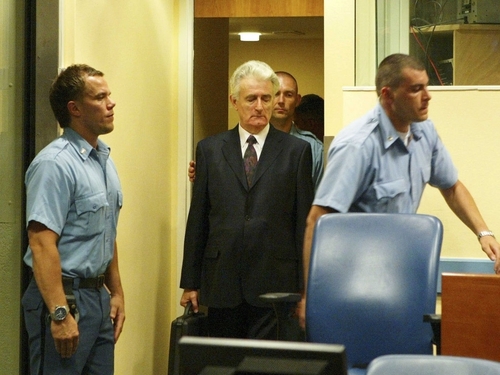 Mr Karadzic stands charged as the supreme commander of an ethnic cleansing campaign of Croats and Muslims in the Bosnian war in which 100,000 people were killed and 2.2 million displaced. Wearing a dark suit and tie, the wartime political leader of Bosnia's Serbs started outlining his defence to 11 counts of genocide, war crimes and crimes against humanity in an opening statement scheduled to be delivered over two days. 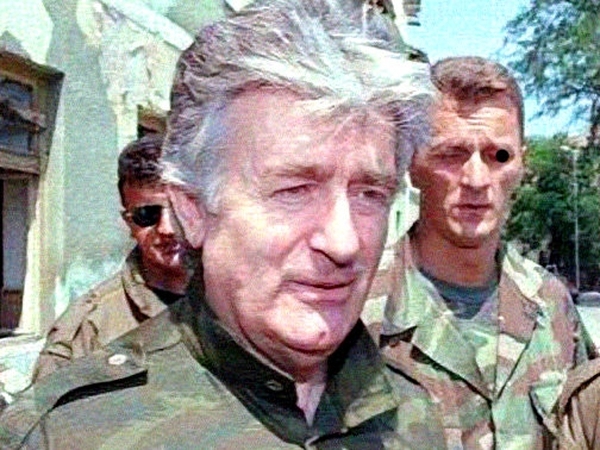 Radovan Karadzic is accused of having colluded with the late Yugoslav leader Slobodan Milosevic in plotting the creation of a ‘Greater Serbia’ that was to include 60% of Bosnian territory. Serbs made up about one-third of Bosnia's population. He had refused to attend the opening of his trial last October, insisting on more time to prepare his case and causing a four-month delay. Arrested on a Belgrade bus in July 2008 after 13 years on the run, he faces life imprisonment if found guilty.